Unitarian Universalists covenant together to affirm and promote respect for the interdependent web of all existence of which we are a part. To dichotomize means to distinguish one part from another. We have deconstructed the whole into component parts but the whole is greater than the sum of the parts and so we must ask ourselves what is real? The distinctions we make are illusionary. We think they serve a purpose and on the path of the ego they do for the ego, but on the path of the spirit they serve no purpose and interfere with our understanding of the truth. The goal on the path of the spirit is to appreciate and understand the interconnectedness of God's creation. The path of the spirit takes us to an awareness of nonduality and with this awareness differences have no meaning. 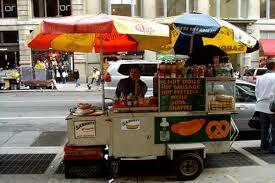 The monk said to the hot dog vendor, "Make me one with everything." On the path of the spirit that also is our prayer.